Democratic Party lawmaker, Myslim Murrizi was the only one lawmaker of this party who refused to relinquish his mandate following the political decision taken by his parliamentary formation. In this interview, Murrizi, who has been in politics for the past 29 years, explains the reasons why he didn’t agree to relinquish his parliamentary mandate. Meanwhile, Murrizi also comments other political developments in the country. You’re one of the opposition MPs who did not agree to relinquish the parliamentary mandate. Why not? It’s been two months now since I refused to relinquish my mandate and I believe I’ve been very clear on the reason why I haven’t relinquished my mandate. I still believe that my position has been principled, democratic and institutional. I have never agreed with the decision to resign from parliament. I will never be part of this mission to destroy pluralism and return to monism, because I was part of the students’ movement in 1990 and I was also one of the founders of DP who brought pluralism in the country. The opposition decided to boycott parliament and it continues its protests. How do you view them? My concept about protests and political gatherings is different. The only genuine protests that Albania has seen were during 1990, February 1991 and the students’ protests held in December 2018. Protests are organized by citizens. These protests are political rallies and their only true scope is to rise against the government and attract more undecided voters. How did Albanian public opinion and the international community receive the decision to boycott parliament? The international community has openly expressed its opinion against this act which sets a very dangerous precedent for this country in terms of the way power is handed over. This can also happen when the Democratic Party is in power, but if democracy functions, then this can also apply to other countries. The French have been protesting for a while now, but the opposition has not decided to boycott parliament. Does the opposition’s act damage the launch of accession talks in June and what developments is the country is expecting to see? Of course it damages Albania’s political image. As far as negotiations are concerned, I think this may also force EU to launch accession talks even if conditions are not yet met in order to avoid any destabilization of the country. The same happened when Albania became a NATO member after the tragedy of Gerdec. Do you think the opposition will take part in the local elections? If a political force decides not to take part in the elections, then that political force commits political suicide. Experience has shown that those who have not participated in the elections, have lost. Let’s not forget the 1998 referendum, when the Constitution was not only approved, but it was also recognized by the Democratic Party until April 2008 when it was changed for the worse. The fact that the Democratic Party did not agree to take part in the run-off of the 2000 local elections, helped the Socialist Party to win in democrat strongholds such as Lapraka, Kamza, etc. The Democratic Party even refused to take part in the territorial reform. The Socialist Party organized its congress. What did this congress bring in Albanian politics? I didn’t see this as a congress, but as a political rally in order to show Albanians and the international community that the Socialist Party has its own supporters, following the opposition’s protest held on 16 March. How would you comment the fact that acting Foreign minister, Gent Cakaj removed 28 members of the diplomatic service? 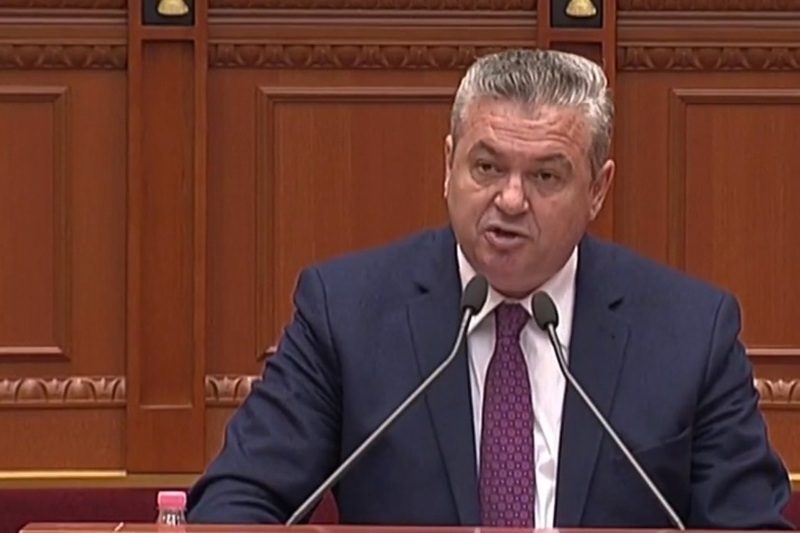 Vice minister Cakaj has dismissed those officials he was told to dismiss. I don’t think he has the necessary experience and capacity to evaluate diplomatic careers. I think that the reason behind this decision was to obtain some extra votes. As far as the decision to remove diplomatic license plates and diplomatic passports to a number of consuls is concerned, it was a fair decision.